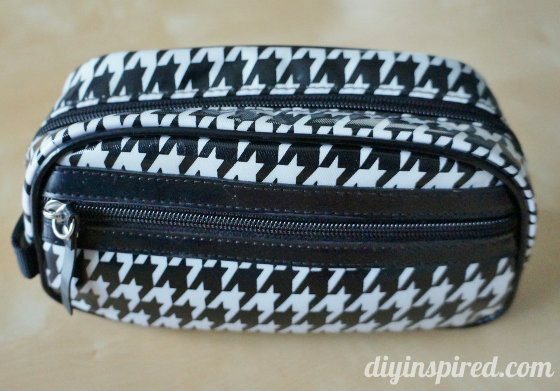 I have a bag that I carry around all the time… my crafty toolbox, if you will. If my purse is large enough it goes in there, if it isn’t I bring it with me in the car. I decided that I wanted to share it with you because I use it SO much and it really comes in handy. I use it around the house, or if I’m out thrift shopping I can easily measure my new find to repurpose or refurbish. One: This mini hammer has come in handy. I’m always rearranging or hanging new frames and pictures around the house. 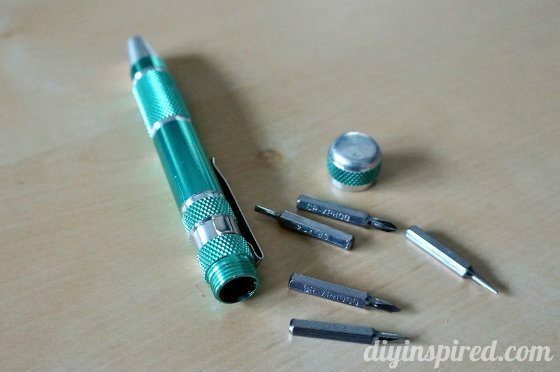 It has a screwdriver attachment that conveniently screws into the bottom as well. 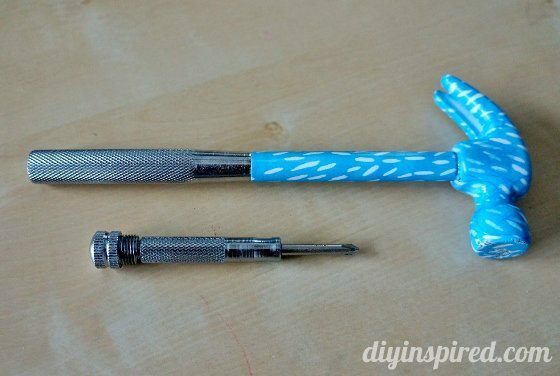 Two: Screwdriver with both a Phillips and flat head attachment. Three: I found this baby in the dollar bin! 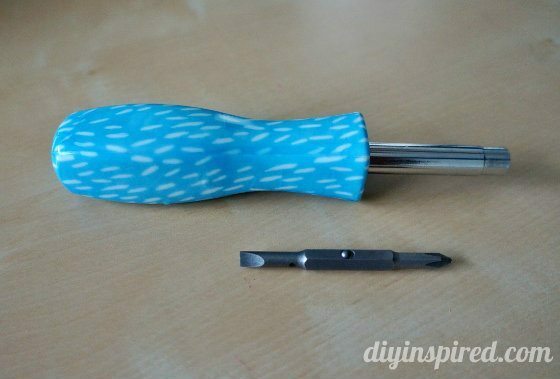 I use it ALL the time for fixing glasses, opening battery covers, remote controls, etc. Four: Measuring tape, Sharpie, and a pencil. 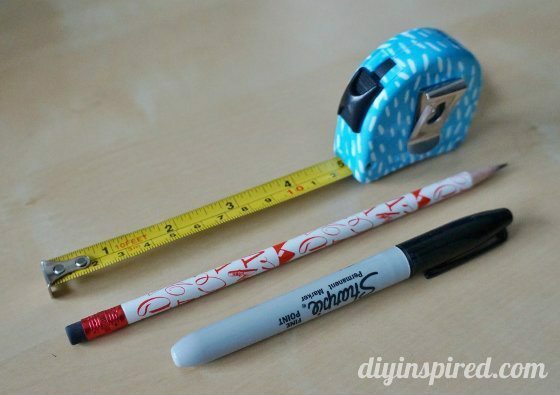 A small measuring tape is perfect for when you’re out thrift shopping or going to garage sales. 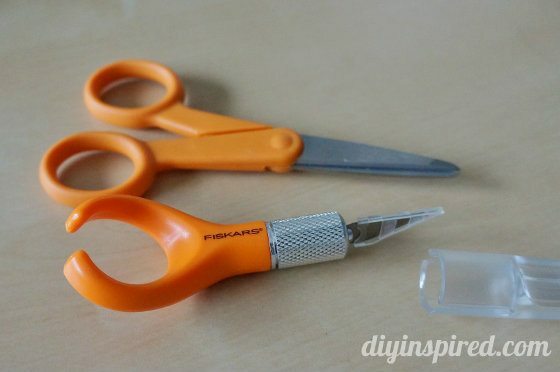 Five: Scissors and a straight edge. And it all fits in this bag that is small enough to carry around or fit in a purse. That’s it! I hope you found this useful. It’s just so convenient for me that I thought I’d share! 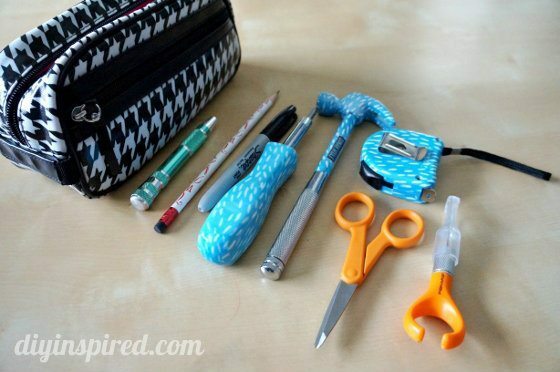 Do you have a crafty toolbox? What’s inside? Is there anything you think I should add?? ?